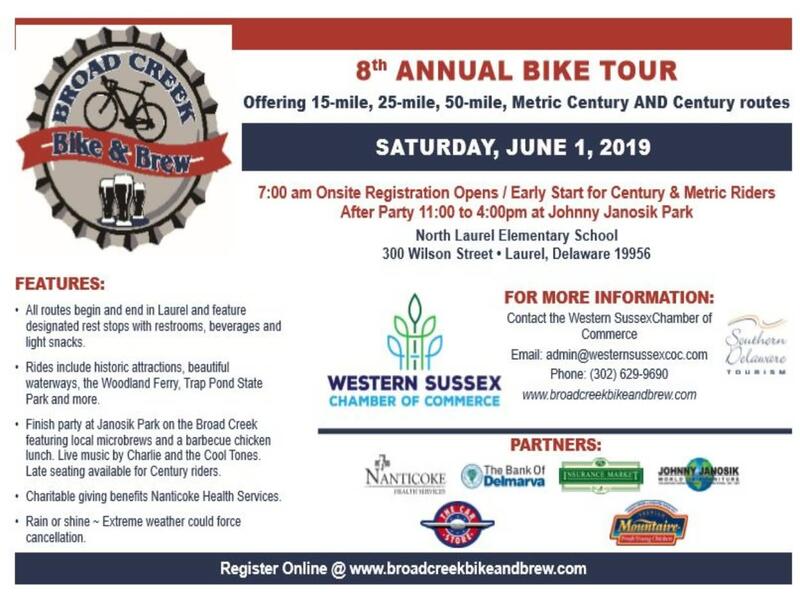 Please join the Western Sussex Chamber of Commerce for the 8th Annual Broad Creek Bike & Brew! We offer 15-mile, 25-mile, 50-mile, metric century and century routes. 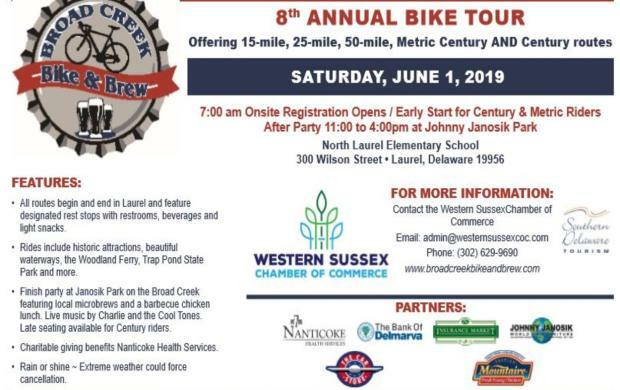 Rides include historic attractions, beautiful waterways, the Woodland Ferry, Trap Pond State Park and more! Finish Party features live music, barbecue chicken and beer samples from local breweries.